has never seemed so appropriate this week. 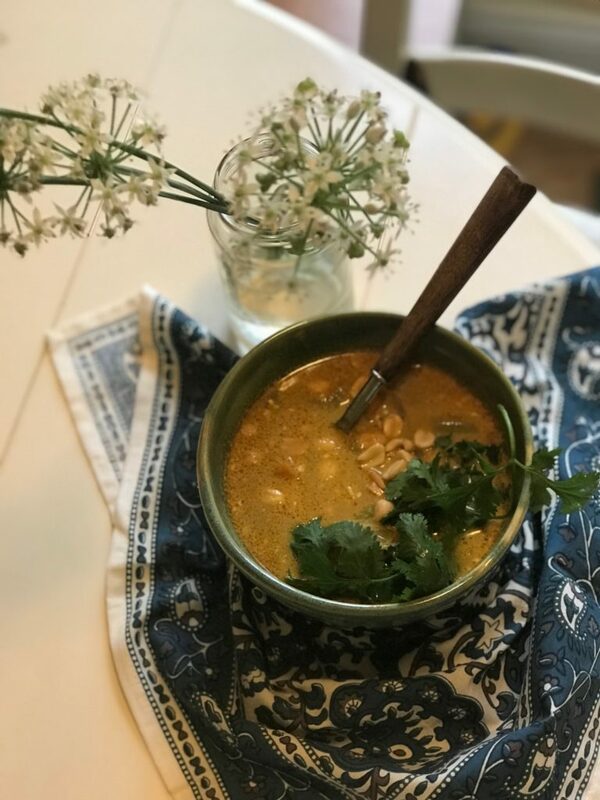 Since it’s looking like Vie -and our amazing subscribers- are going to be caught in quite a big storm (thanks Hurricane Florence) for the next few days, we thought we’d bring you a fantastic soup recipe courtesy of Victoria, our phenomenal Marketing Director. This Sweet Potato Coconut Curry Soup has been featured in our Meal Plans before, and we think it’s pretty amazing! 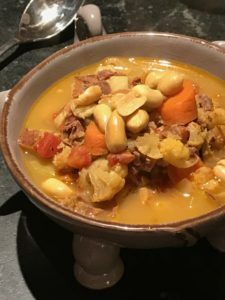 The best part is that it can usually be thrown together with pantry staples (like coconut milk, curry powder, potatoes, onions, carrots, celery, etc.) so it’s a great option for those of you whom are worried about losing power and want to get in some last-minute cooking without needing to make a run to an already-depleted grocery store. Head to our Instagram profile and visit our Stories to view a sped up video of how this soup is made! Don’t forget to leave a comment if you’ve got a question, and stay safe folks! Hurricane Update: We are creating one Meal Plan this week to help those affected by Florence. Head here to see it and get all the advice you need on food prep and storage for the next few days! Victoria is our Marketing Director and she made this delicious dish for us once. I made sure to write the recipe down so we could use it for all of you! Pack in the sweet potatoes if you like them, there is no such thing as too many (okee dokeee maybe a little) but what I really liked about this were the biggish chunks of sweet potatoes mingling with coconut milk and a rich broth. Cook onions, garlic and spices in coconut oil for 5 minutes in a large soup pot over medium heat. Add carrots, sweet potatoes, chickpeas, and tomato paste and cook an additional 5 minutes. Add vegetable broth and fire roasted tomatoes and bring to a boil, then reduce to a simmer for 20 minutes. Add coconut milk and spinach 2 minutes before serving once you've removed your pot from the heat. Serve hot and garnish with cilantro, peanuts and a squeeze of lime juice.